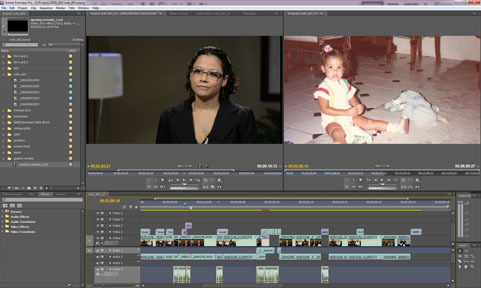 Here is a behind-the-scenes look at SunTrust's Live Solid Video Scrapbook. We worked with Realm Advertising to produce the video. Watch the completed video here. Video is undeniably powerful, with the potential to invoke a wide range of emotions and reactions that can result in major social and political change. Video engages audiences more effectively than any other communication medium. Just think for a second about the monstrous film industry that runs like its own country, with its own rules, key players, and followers. That said, there are a number of creative decisions that need to be made to best convey the "heart" of the story during the editing process. And for SREB, the heart of the story is found in the graduates' deep sense of accomplishment after successfully completing a PhD program. In some cases, it is a road less traveled among peers, and the participants gain encouragement from a community of like-minded, driven, and hard working individuals. In addition, the financial burden is much lighter, allowing the students to really focus on the task at hand. Julie is the designated creative editor of the project and she focuses on developing a sense of nostalgia with a few basic techniques. She uses soft transitions between shots, and at certain points in the video she uses time remapping techniques, known more commonly as slow motion (or "slo-mo"). This allows the viewer to take the time to empathize with the graduates as they beam with a sense of and pride. She also includes some vintage-looking, kenburns-ified, childhood photos during an interview. It makes the piece more personal, as if the viewer is sitting in a living room hearing the testimony of success with a family album opened on the coffee table. 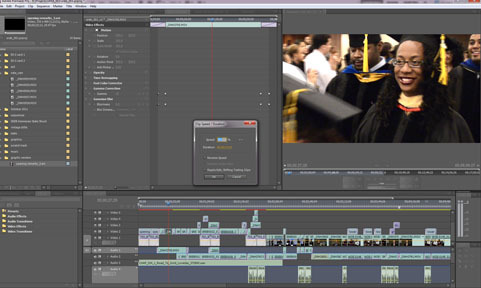 The video is meant to provide a glimpse into this program's true value in the lives of its participants, and with a visually rich medium such as video, there are countless creative decisions an editor can make to convey the message successfully.